Ballet supporters and Alice in Wonderland enthusiasts! This incredible evening of dance, fundraising and majesty, held at the Sanfilippo Estate, will transport you through the imagination of Alice. 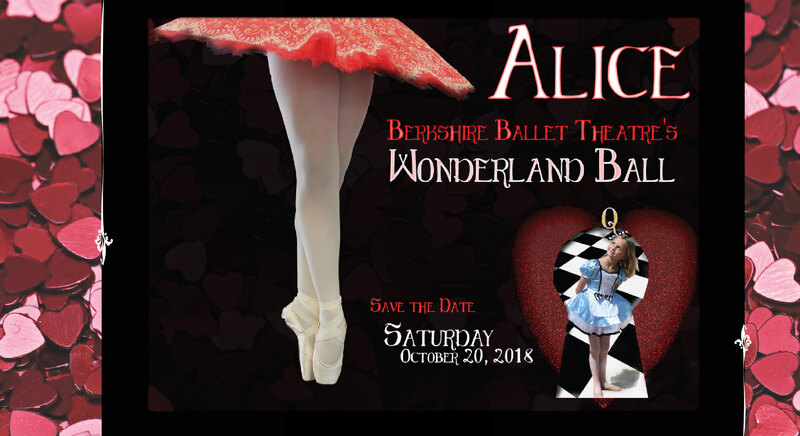 Featuring dancers from the Berkshire Ballet Theatre, bringing to life the quirky characters she meets along her journey in Wonderland. All proceeds from this event go towards fostering the programming for this incredible 501c3 nonprofit organization, continuing to provide a professional atmosphere for these talented young artists to study in. Throughout the evening guests will be invited to participate in activities such as a silent and live auction with all proceeds going directly towards the dedicated young artists of Berkshire Ballet Theatre. It is thanks to the generous support of donors, such as yourselves, that they may continue to thrive in the professional atmosphere that we are able to provide them.